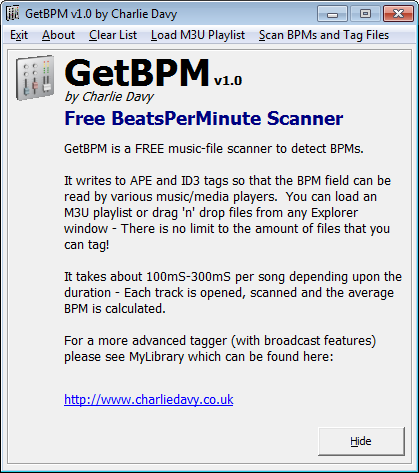 A useful application to scan your music tracks and write the BPM to APE+ID3 file-tags. 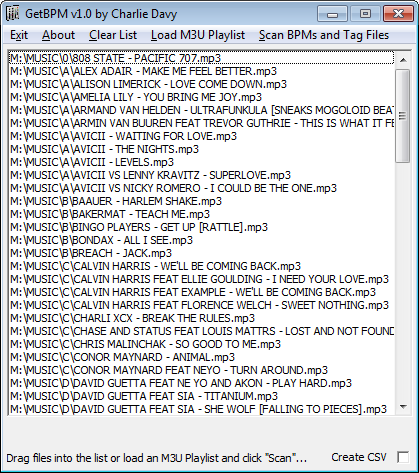 Simply drag ‘n’ drop MP3 files from any folder into the main window, or load an M3U Playlist – then click Scan BPMs and Tag Files to process them. GetBPM will save to APE custom/useritem “BPM” and ID3v3BeatsPerMinute.